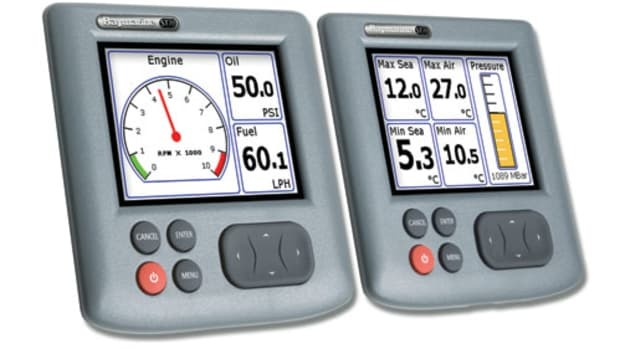 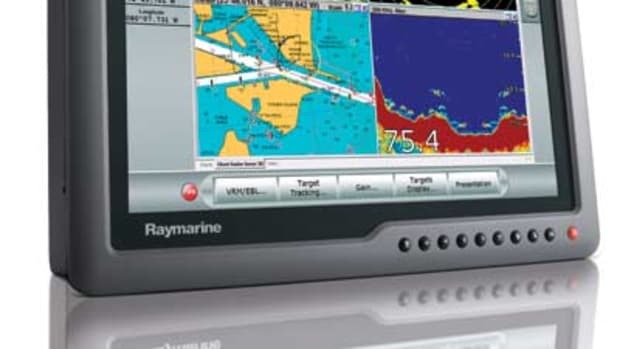 Raymarine&apos;s powerhouse DSM 400 black-box fishfinder weighs 27 pounds, contains four independent digital sonar transceivers, and can pump up to 3 kW of ping power on 28, 38, or 50 kHz and two on 185 or 200 kHz. 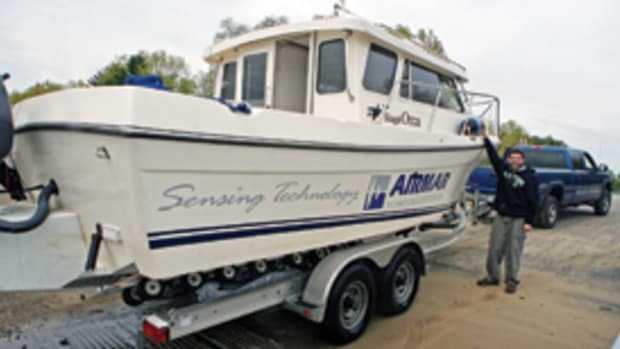 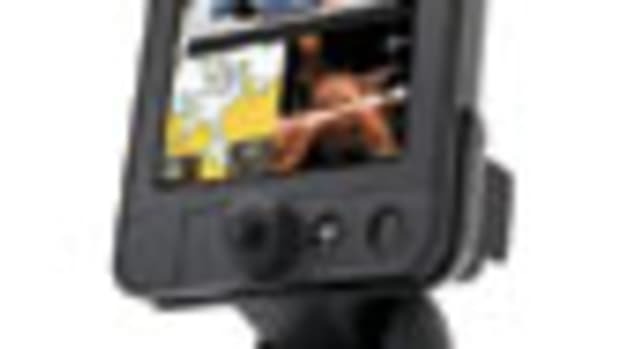 All of which makes it particularly adept at handling some of the high-end Airmar transducer features discussed in the main story. 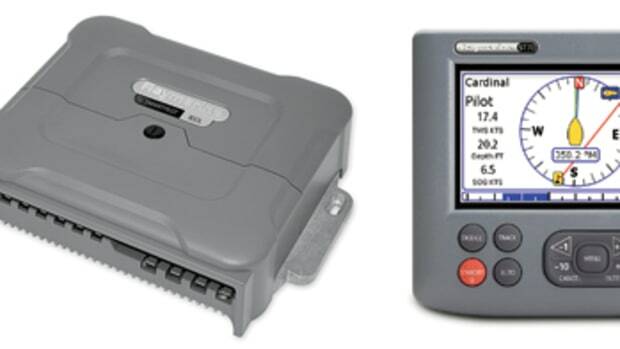 For instance, a battlewagon could have both a 3/2-kW broadband R209 and a 1-kW 270W, both dual-frequency through-hulls, attached to the DSM 400, without switches, perhaps using the former at 185 kHz to get narrow-beam high-power bottom detail and the latter to get 25-degree-wide 50- or 200-kHz fish info, all simultaneously on one screen with extra-low-Q accuracy. 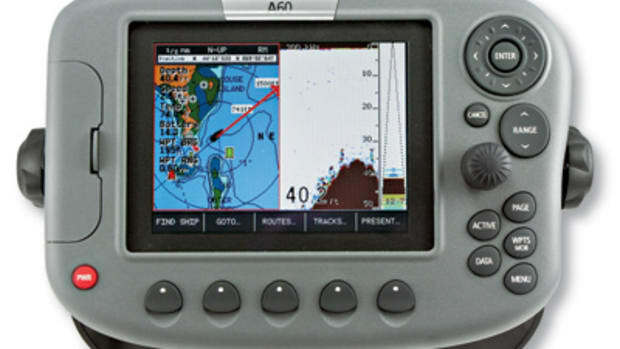 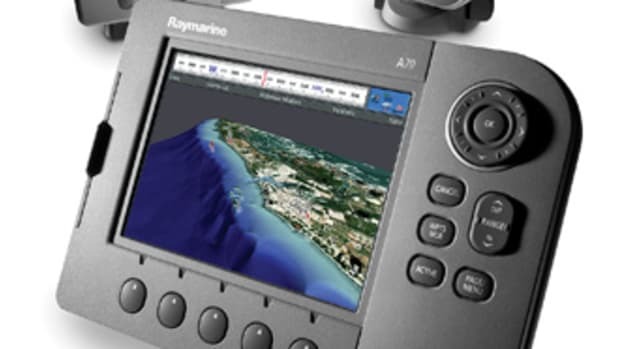 The $2,795 DSM 400 can network to Raymarine&apos;s G Series or E Series (if upgraded to firmware version 4). 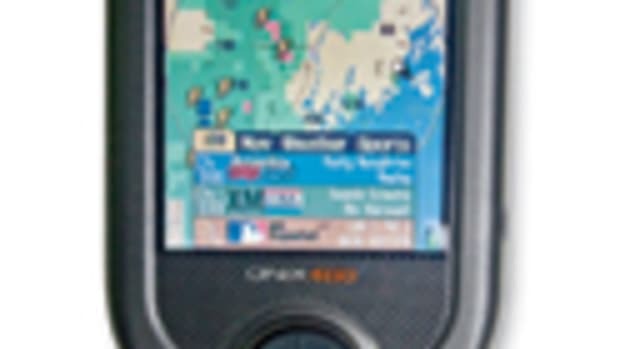 And while the company won&apos;t speculate about future developments, the unit certainly seems to have the brains and brawn to eventually take advantage of even more high-end Airmar capabilities like custom frequencies and perhaps even "chirping." 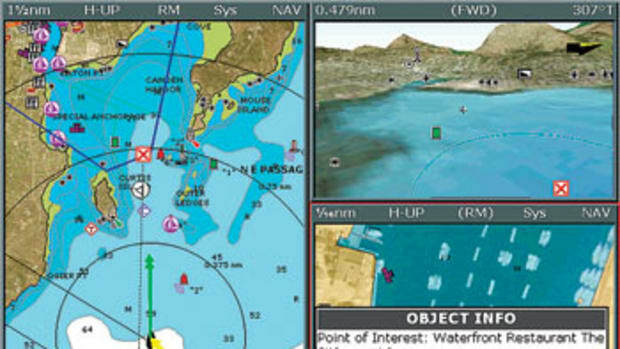 Watch out, big-game fish!